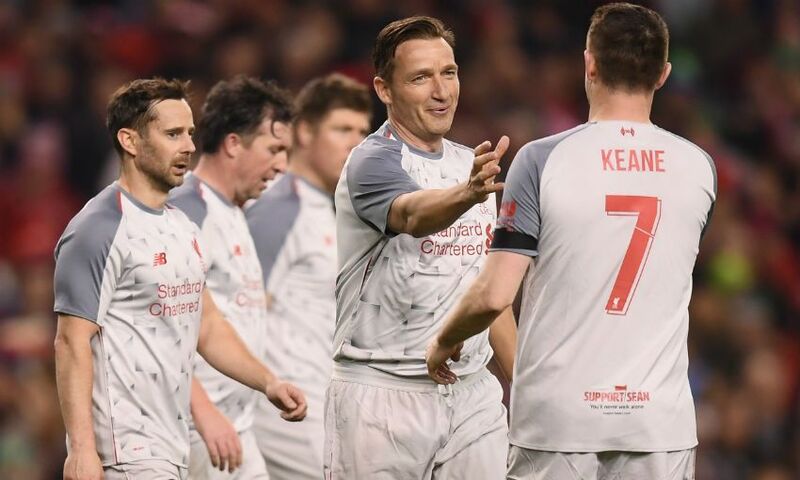 Vladimir Smicer completed Liverpool FC Legends’ come-from-behind 2-1 win over a Republic of Ireland XI in Friday’s Seán Cox charity match at Dublin’s Aviva Stadium. Of course, the result was immaterial as vital funds were raised for the ‘SupportSeán’ campaign, which you can support here. 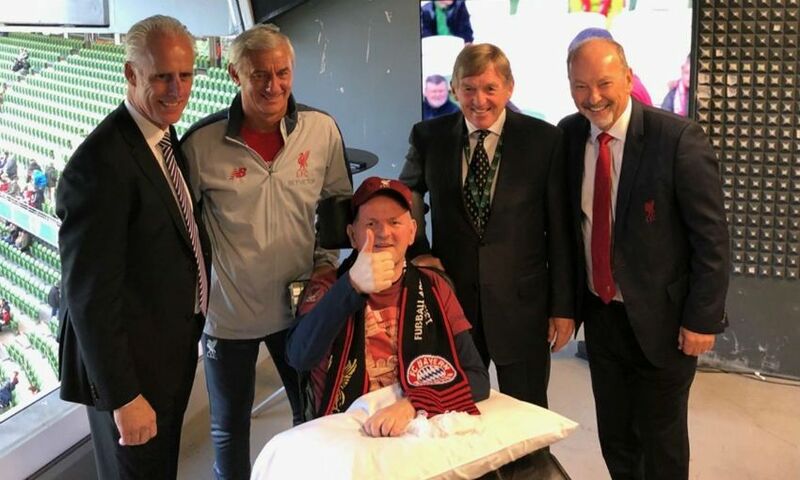 Indeed, the biggest cheer of the night did not greet one of the three goals, but when Seán was shown watching from the stands on the stadium’s big screens - a heart-warming sight that brought about rapturous applause from the crowd. 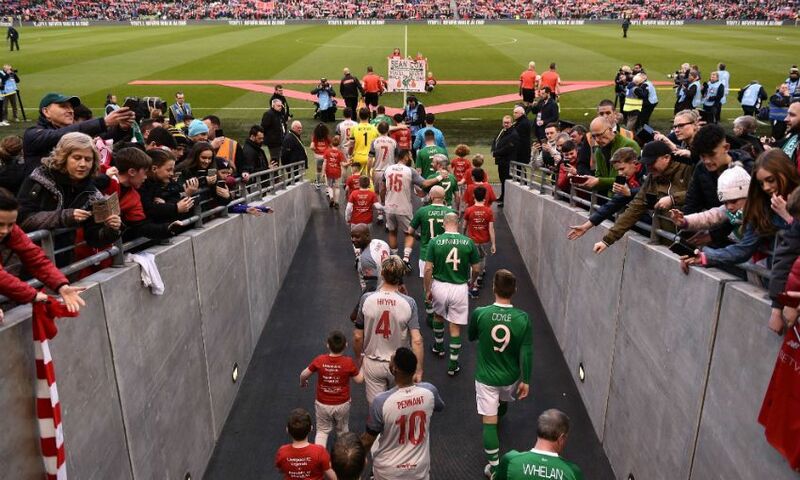 But it’s fair to say the 26,873 in attendance were treated to 90 minutes of entertainment on the pitch by sides managed by Sir Kenny Dalglish and current Republic of Ireland boss Mick McCarthy. 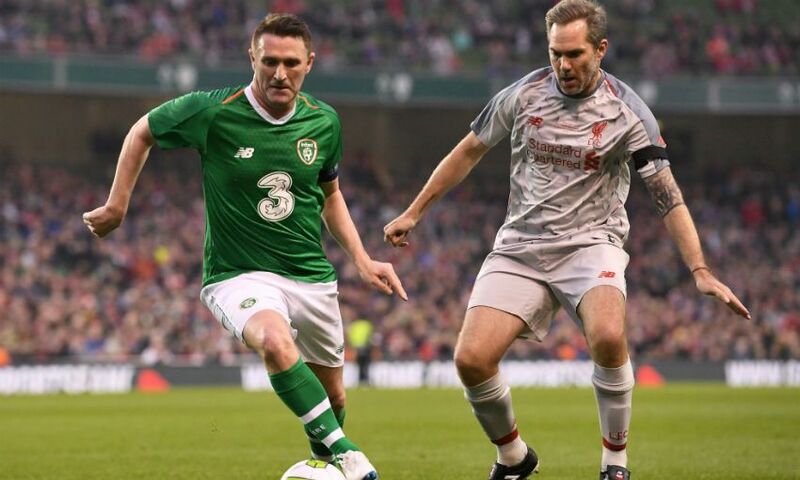 Ireland took the lead after 26 minutes through Keith Andrews, with Liverpool responding before half-time with a John Aldridge penalty. Opportunities were not exactly at a premium throughout a basketball-style contest, but a clinical finish from Smicer settled it with 20 minutes left. 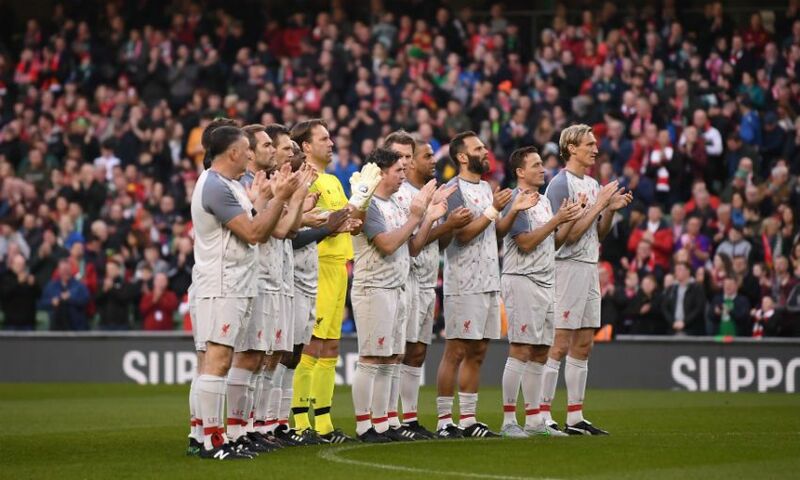 The passing of legendary former Liverpool captain Tommy Smith earlier in the day and Monday’s Hillsborough anniversary were acknowledged with a few moments of sombre reflection prior to kick-off. 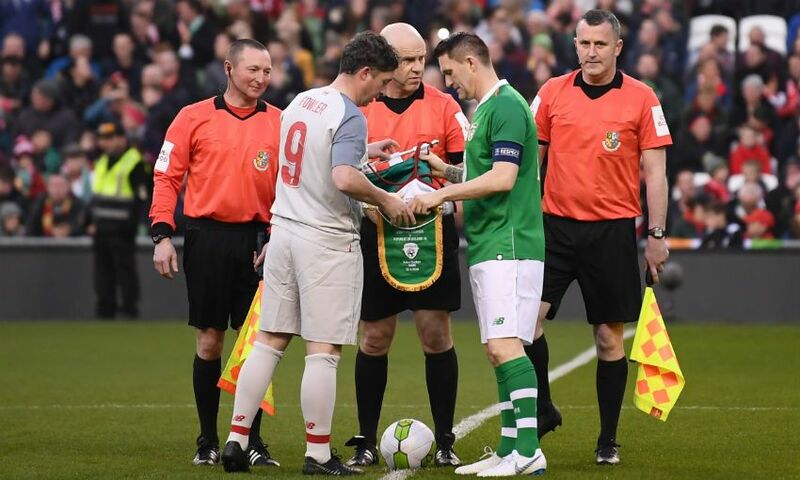 Once the game got under way, the first 15 minutes or so effectively boiled down to a duel between the two captains, Robbie Fowler and Keane, to see who would open the scoring. That neither did so certainly wasn’t for the want of trying. 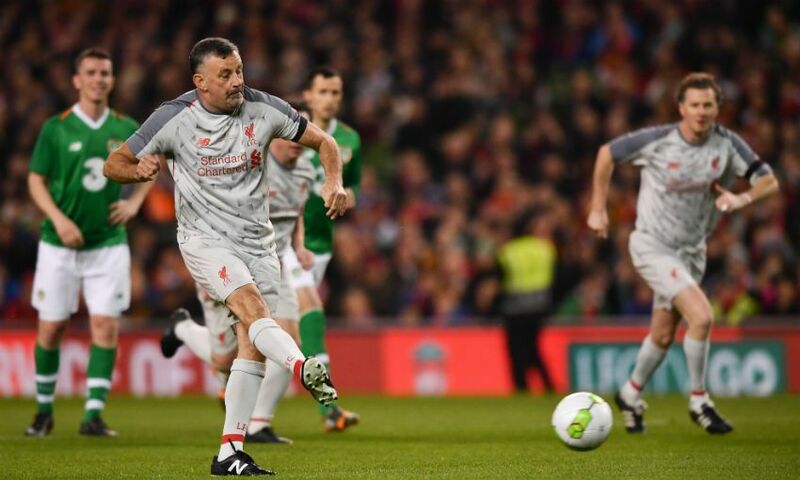 Fowler was first to chance his luck, the Reds’ skipper sending an early angled drive over the crossbar, before Keane skewed his shot wide after a mazy dribble had taken him past Sami Hyypia and Bjorn Tore Kvarme. 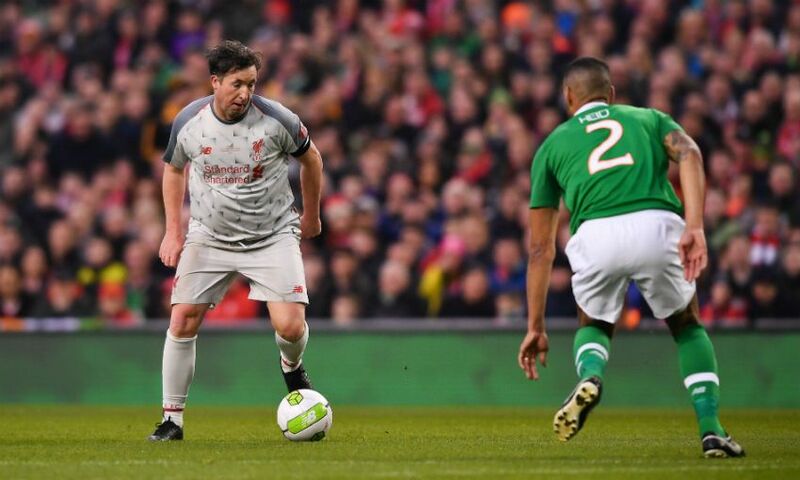 Ten minutes in, the Aviva was treated to the oh-so-familiar sight of Fowler linking up brilliantly with Steve McManaman. 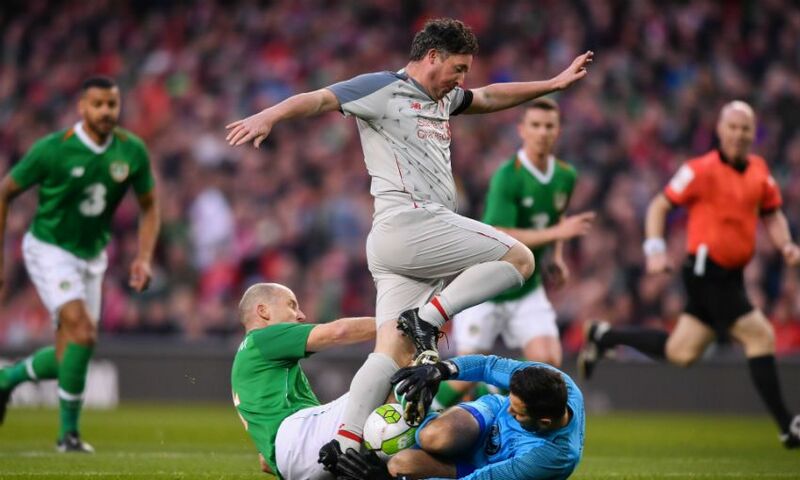 A lovely one-two between the Scouse duo fashioned an opening for Fowler, who was thwarted by a last-ditch tackle by Kenny Cunningham. 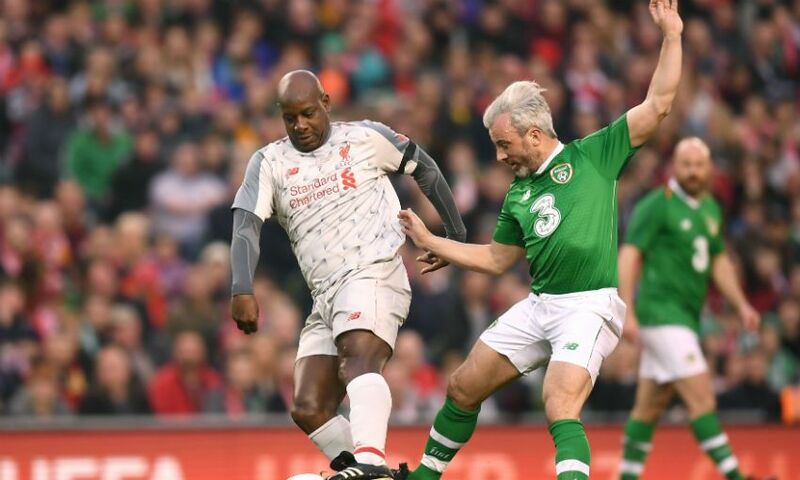 Wayne Henderson was next to deny Fowler, whose trademark turn and strike from the edge of the box had the Ireland goalkeeper scrambling across to tip wide. 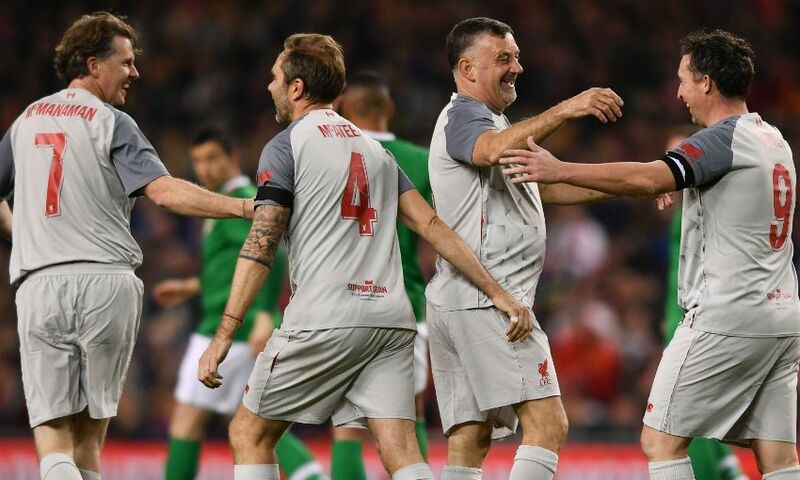 At the other end, Keane shot wide after being teed up by Kevin Doyle and the sides then traded disallowed goals - Keane for Ireland, Smicer for Liverpool - before the hosts’ No.10 sent a delicate chip onto the roof of Sander Westerveld’s net. It seemed implausible that the stalemate would ensue for much longer given the volume of chances being created by both sides. And, sure enough, Andrews’ goal - a well-taken glancing header from Graham Kavanagh’s cross - arrived midway through the first half. 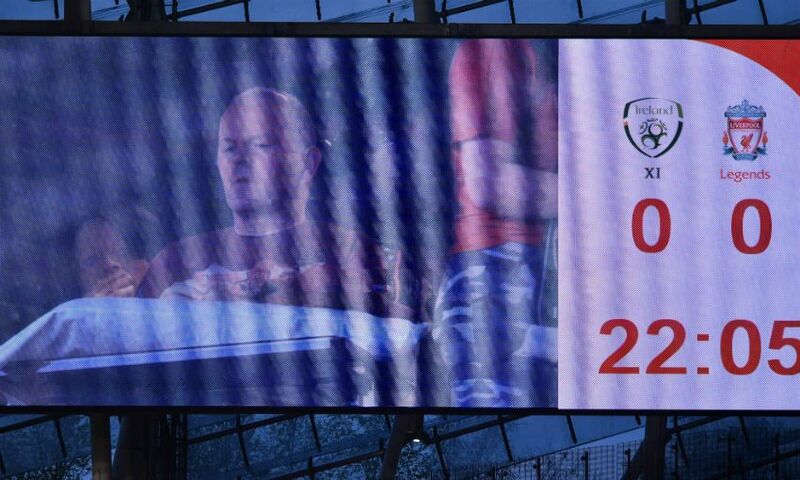 Liverpool were not behind for long, however. 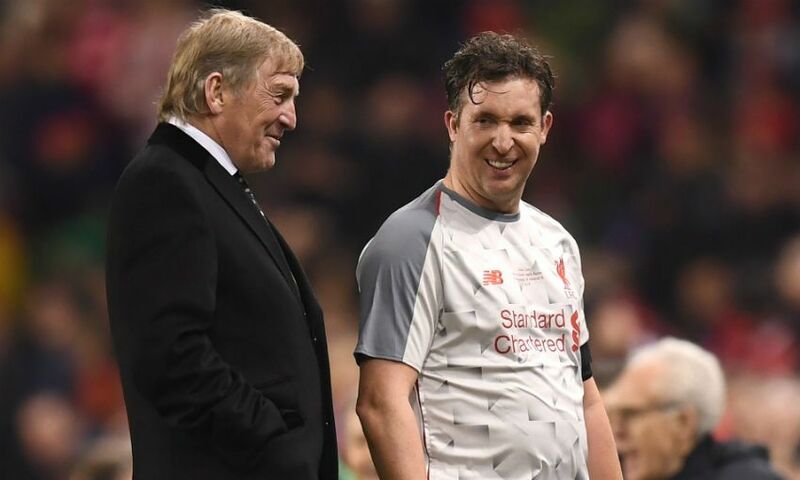 Cunningham felled Jermaine Pennant in the area and up stepped Aldridge to roll his spot-kick into the bottom corner seven minutes before the break. The second half began with a Patrik Berger curler that cleared the bar and Liam Lawrence sending a speculative dipping effort from way out onto the top of the net. 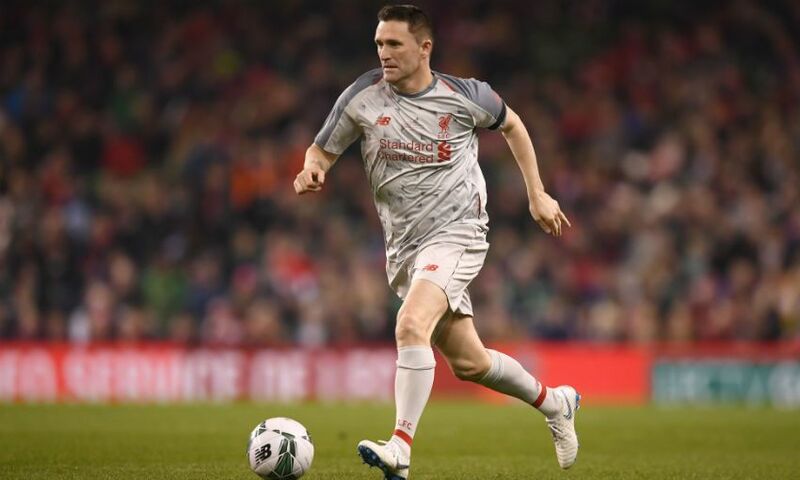 Keane and Aldridge had swapped sides at the interval and the former didn’t take long to team up dangerously with Fowler, playing an inviting lay-back to his strike partner, who blasted off target. Berger then side-footed wide from the edge of the box before Andrews clipped the woodwork with an audacious long-range lob - but, soon after, Smicer struck what would prove to be the winner. Inevitably, Keane was heavily involved, his weighted, reverse pass inside Smicer’s marker finding his teammate’s clever run. The Czech did the rest, coolly sliding a neat finish in at the near post. 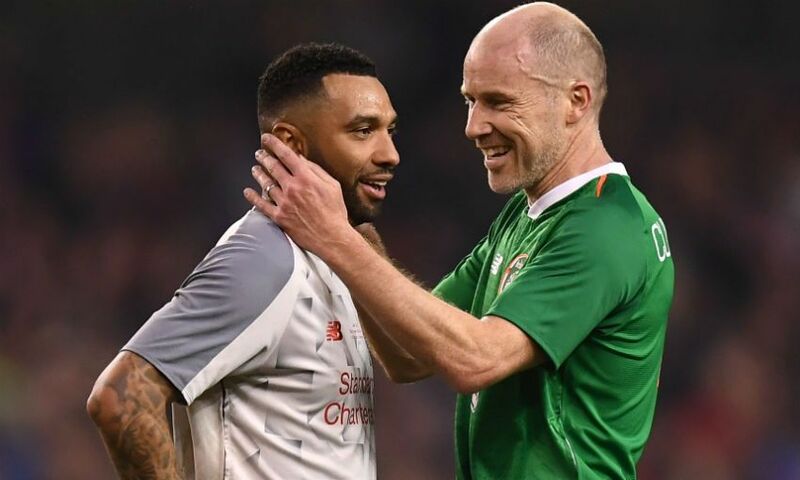 Ireland substitute Niall Quinn planted header onto the bar as the hosts searched in vain for a late equaliser, but the scoreline was incidental on an evening during which far more important matters than football took centre stage.